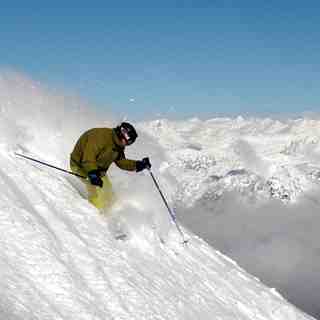 Voted the No.1 resort in N.America for the last few years, Whistler offers unrivaled skiing and night life. 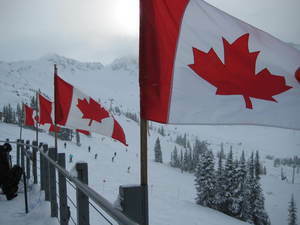 The two mountains, Blackcomb and Whistler should keep you busy for weeks, with kilometer after kilometer of piste. 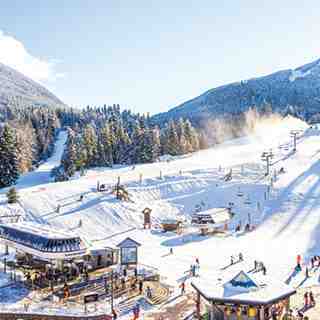 Then there is the off-piste at Whistler, acres of it, coupled with 11.63m average of snow a year, one of the biggest terrain parks in the world and tree skiing you cannot get bored of. One of the team had worked for a season there and reckoned he could still get lost. 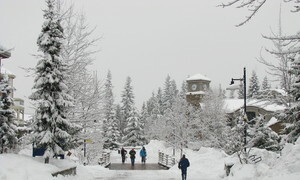 Off the piste at Whistler there is plenty to do with a large selection of restaurants, a tube park, zip line, bungee jumping and activities to boot.